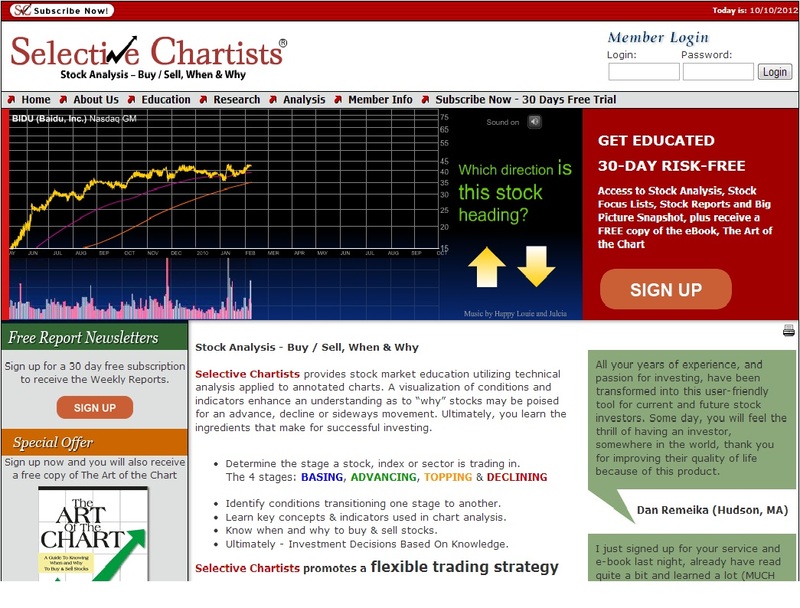 Selective Chartists has been a longstanding Polar Design client that turned to us to construct its initial web site that not only serves as the organization’s public face for its stock trading education program, but consolidates all services related to its subscription-only stock trading news service. The organization provides subscribers with timely stock trading alerts based on its stock chart reading and trend analysis theories that gave garnered the owners steady double digit returns over the past several years. More recently, Polar Design upgraded the web site to include an interactive, multimedia Flash “quiz” on the home page that invites visitors to guess which way a stock trend is headed. The correct answer is displayed right afterwards, along with the logic. This improvement increased the web site’s conversion and grew its subscriber base significantly.